Tuesday we received some heavy rains in Powhatan totally 3.25 inches in about 2 hours. 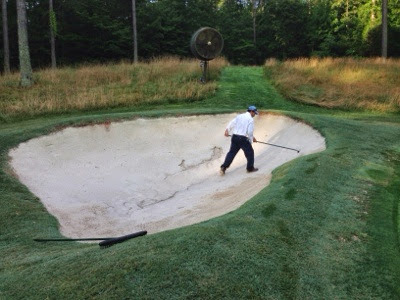 This was a much needed rain however the force of the rain caused some minor washouts in the bunkers. 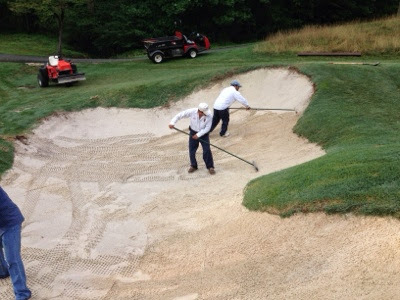 Here are some pictures of the staff doing repairs to the slopes. 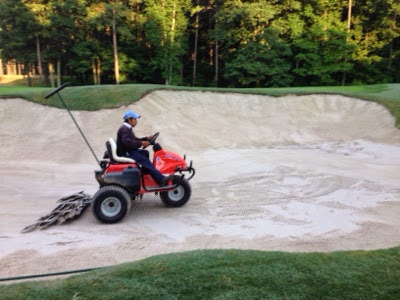 The mechanical rake smooths out the bottom area of the bunkers to provide a consistant playing area. 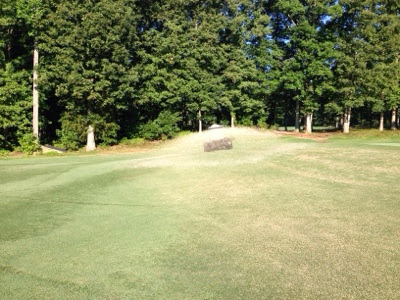 Here is a picture illustrating the approaches receiving a light topdressing. We perform this task from mid June through early September. It will assist with firmness and smoothness with a routine program in place.